Introduction to Bukavu from Mike Beeston on Vimeo. Just a few kilometres from the city is the border with Rwanda at Rusizi near Cyangugu. Bukavu’s strategic location at the north end of the Rusizi valley on the border with Rwanda is one reason why the city suffered during the Congolese wars between 1996 and 2004, when rapes and massacres took place here in a war of aggression between the Rwandan troops and General Nkunda, their RCD proxy, and Congolese troops who allied (not without political and humanitarian consequences) with the FDLR and Mai-Mai militias. Bukavu is accessible from Goma by a dirt road (207 km) that is only passable with a 4×4, by plane (± 30 minutes) or by boat (a 3 to 5 hours crossing of Lake Kivu). The latter option is favored by most people who enjoy the beautiful scenery and comfort, speed and punctuality. It is also possible to take a boat from Goma to Bukavu at night. The city is 300 kms from Kigali and 145 kms from Bujumbura, the two neighboring capitals in Rwanda and Burundi, both of which are served by international flights. The bus from Kigali to Cyangugu will continue a few kilometres down to Rusizi and drop passengers 100 metres or so from the border. 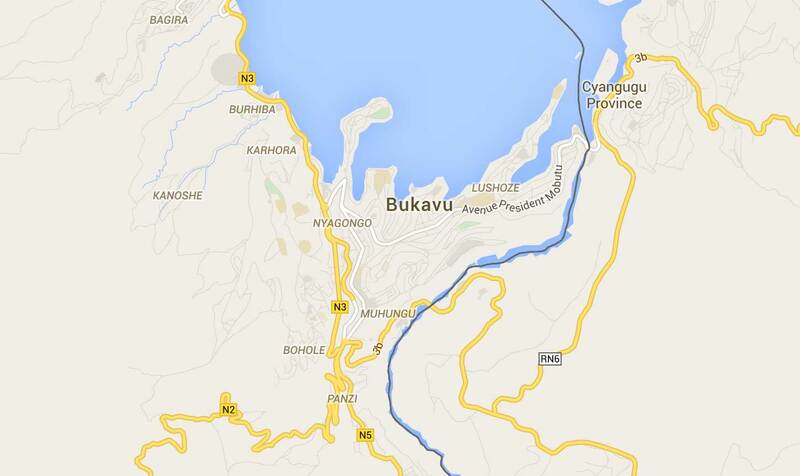 The bus from Bujumbura to Bukavu travels through Rwanda and also crosses the border at Rusizi. In the city itself public taxis are available and most travel the long stretch of Avenue Lumumba, offering a shared ride for 500 Congolese Francs. It is possible to negotiate a direct fare to most parts of the city for $5 or less. There are several places to go out and dance to Congolese rumba tunes, enjoy a drink and sometimes eat or play billiards. Atmosphere guaranteed!